For many children, learning slows way down (or even stops) during the summer. Poorer families often miss out on the opportunities that wealthier families take for granted: enrichment camps, lots of books at home, regular visits to the library and museums, and family road trips that keep young minds engaged and build background knowledge. The "summer slide" is when children — particularly those from disadvantaged families — lose skills learned during the school year. For many children, learning slows way down — or even stops — during the summer months. Poorer families often miss out on the opportunities that many wealthier families take for granted: enrichment camps, lots of books at home, regular visits to the library and museums, and family road trips that immerse young minds in new experiences. This lack of learning opportunities can have devastating long-term effects. Why does summer reading matter so much? 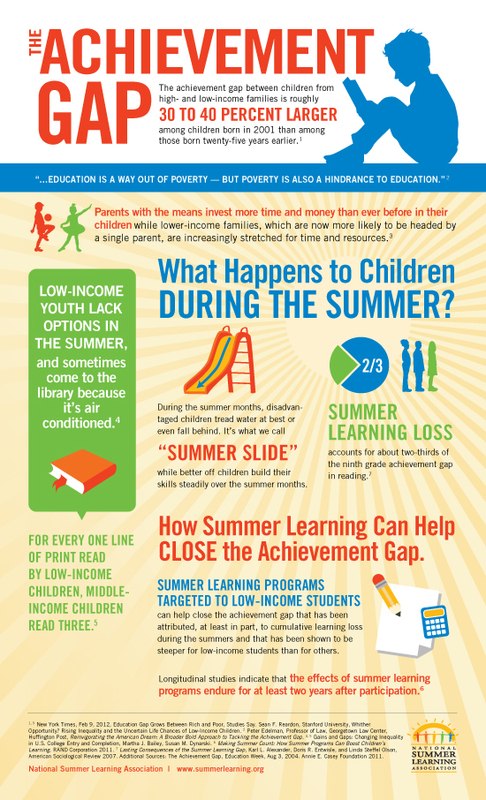 Research has consistently shown that summer reading loss is one of the most significant causes of the achievement gap between poorer and wealthier students. On average, low-income students lose more than two months of reading achievement over the summer months, versus slight gains made by middle-class students. Over time, the losses accumulate to contribute significantly to the huge achievement gap between poorer and wealthier students. By sixth grade, the cumulative effect of summer reading loss creates a gap of 18 months or more between struggling and proficient readers. Children who start off behind tend to stay behind — performing poorly in middle and high school and dropping out of high school at alarmingly high rates. Over time, this summer reading loss accounts for about two-thirds of the gap between low-income students and their wealthier peers. This gap has grown roughly 30 to 40 percent larger among children born in 2001 than among those born twenty-five years earlier. 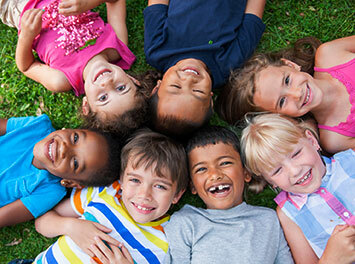 With the achievement gap between children from high- and low-income families already growing over the past few decades, it is more important than ever for parents and organizations working with low-income children to provide meaningful summer learning opportunities for children. 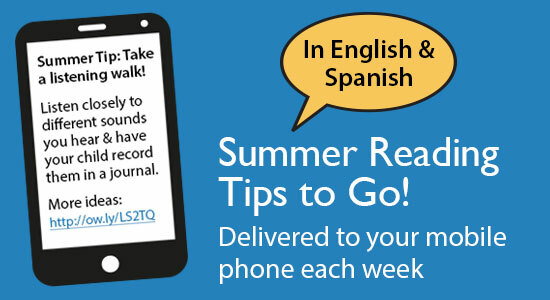 Start with a Book is designed to help address summer learning loss. 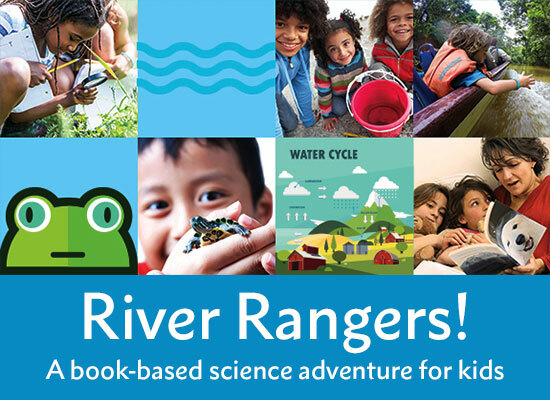 The website provides parents, librarians, youth program leaders, and community groups a wide range of free and low-cost resources to help ensure that kids keep learning and exploring during the summer months and beyond. 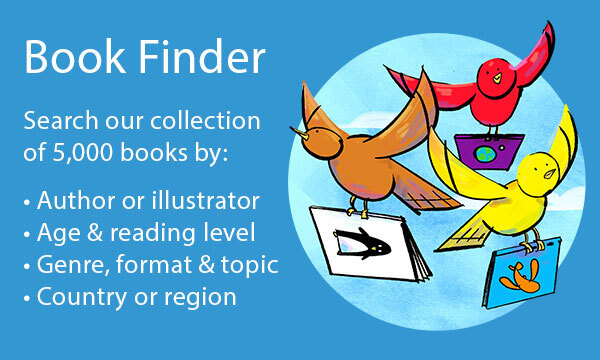 By engaging children in literacy activities over the summer, we give them opportunities to build their background knowledge, deepen their vocabulary, improve their reading fluency — and be ready in the fall for a successful school year. The rigorous demands of the new Common Core State Standards and the Next Generation Science Standards are an additional, powerful reason to provide meaningful summer learning opportunities for children.